Finding dental tips for busy people is a great idea when you are so busy that it is difficult to make the time for proper oral care. The world we live in today is one that often pulls us in many different directions, making it difficult to find the time to complete all the necessary tasks of the day. While brushing and flossing your teeth is an essential part of being in good oral health, it is completely understandable that there are days when you are not able to perform your basic dental duties. The following are some problems and quick fix dental tips for busy people that can be done on the fly! Dental tip #1 – forgetting to brush teeth before leaving the house. Keeping extra toothbrushes in other convenient locations can be a lifesaver! Keep an extra toothbrush at the office, in the car, in a bag or a purse and anywhere else that it can be accessed and used after forgetting to brush in the morning. Dental tip #2 – a toothbrush is nowhere to be found. Chewing gum is a great way to help remove any bacteria or plaque on the teeth because it helps to produce saliva which helps wash these harmful items away. An interdental brush can also be used, which also flosses the teeth. Dental tip #3 – forgetting to eat. Choose healthy snacks between meals. Eating foods that support good oral health is a great way for busy people to take care of their mouth. Healthy food choices include apples, pears, almonds, cheese, yogurt and leafy green vegetables. Dental tip #4 – not drinking enough water throughout the day. Drinking water often during the day helps to remove any food particles or bacteria in the mouth that can lead to tooth decay. Will these tips improve your oral health? Since you are looking for dental tips for busy people, it means that you are so busy that you are looking for a few tips that can help you improve your overall oral health quickly. While being busy is often a good thing, it really is essential that you take just a few minutes to provide yourself with the oral health care you need on a daily basis. Feel free to pick and choose which of the above dental tips that you feel will help you get back on track to better oral health. Also, feel free to call us for more tips or if you have any more questions. 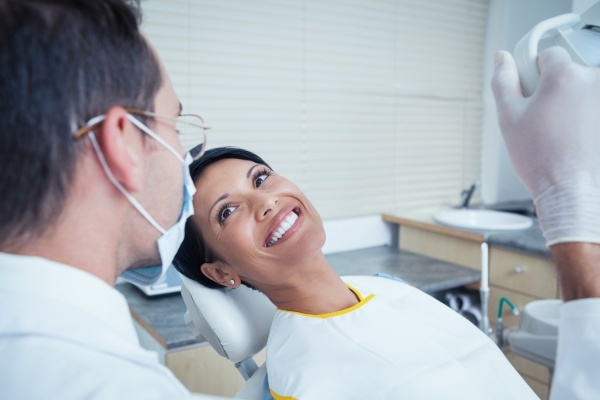 Call (760) 201-4085 today to reach Portola Dental Group.